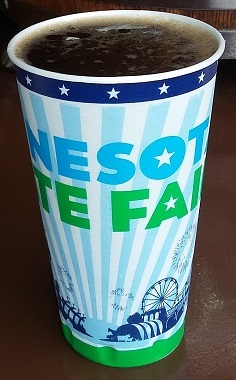 This past Saturday was the first weekend of the Minnesota State Fair! The Great Minnesota Get-Together! Since it’s my first time being a Minnesotan during the state fair … wait, can I be a Minnesotan? Like, I guess I’ll always be a Washingtonian, despite where my residency currently is … er … My first time living in Minnesota during the State Fair (that sounds more accurate), I had to go. 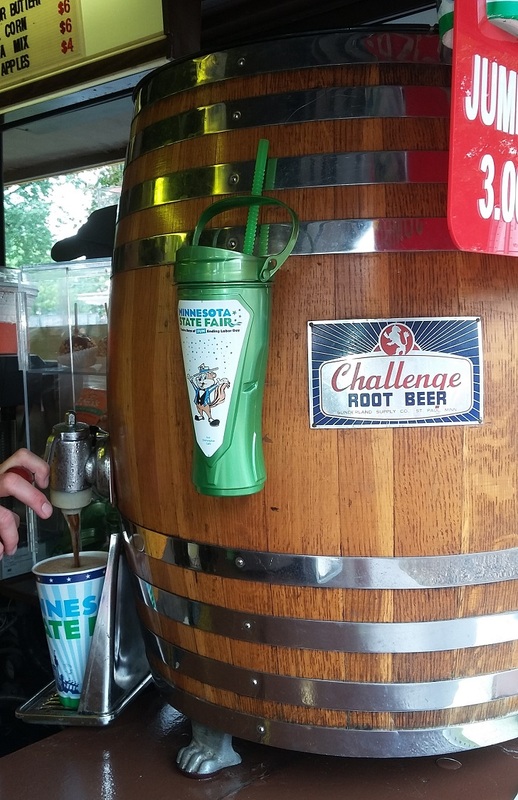 Also, because I knew there was a root beer stand called The Root Beer Hut that makes their very own Challenge Root Beer, only available during the Fair. 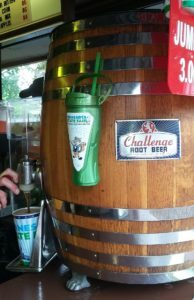 So I made a beeline to the Hut, through record crowds with root beer first and foremost on my mind, all other fair fun secondary. 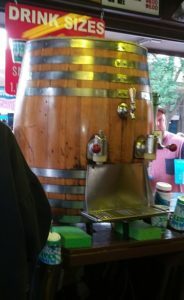 They serve their brew out of wonderful wooded barrel taps which is very cool. 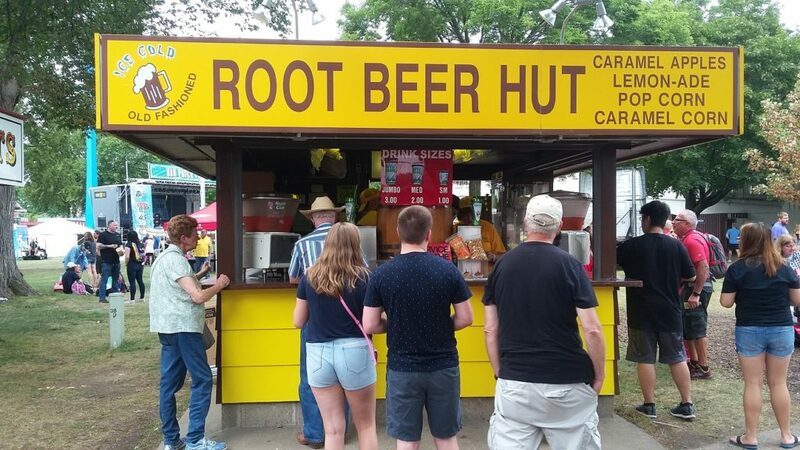 I lament the lack of frosty mugs, but for root beer stands such things can be forgiven. The Body is very sweet with a fruity tinge that makes me think of brown sugar. It’s got that classic root beer stand flavor with less vanilla than normal. The Bite is pretty mild though spices are present and it has decent carbonation, yet, it isn’t very smooth. The Head is short and doesn’t last. The Aftertaste is a light vanilla with a fruity tinge. It’s decent, but nothing special. 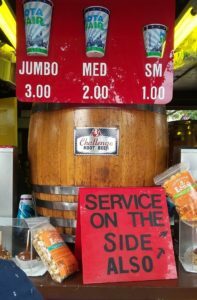 It’s a fine fair drink, and is reasonably priced unlike many things you’ll find at fairs. After my review I found out that the same family runs another root beer stand at the fair, the Red Barn Root Beer which also serves their Challenge Root Beer. Root beer is actually quite a prominent feature of the fair, but I’ll get more into that in the next post. The three root beer taps on the keg dispenser. My root beer being poured out.